In the continuing saga of the messy launch of the Samsung Galaxy S3, we find that T-Mobile did launch of the S3 yesterday, as they said they would. However, the release was limited. The smartphone was only available in 29 markets because “customer demand will exceed the expected launch quantity,” according to a statement released by T-Mobile. The stores that received the phones were in LA, Chicago, Phoenix, Houston, San Diego, New York, Seattle, Miami/Ft.Lauderdale, Dallas/Ft.Worth, San Francisco, Salt Lake City, Denver, Minneapolis, Tampa/St.Petersburg, Philadelphia, San Antonio, Portland, Austin, Atlanta, Kansas City, Boston, Sacramento, Orlando, Detroit, Washington DC, Cleveland, Jacksonville,FL, Charlotte, and McAllen,TX, according to TmoNews. T-Mobile said that additional stores will receive the phone starting June 27. Of course, that will depend on availability. 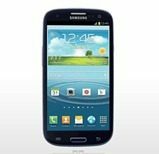 They also said a limited number of Samsung Galaxy S3’s would be available on T-Mobile.com. Looking at their site early this morning, they appear to have both the 16GB and the 32GB versions in stock. The 16GB version costs $279 with a 2 year contract, after a $50 mail-in rebate is applied. The 32GB version, with the same conditions, is $329. Sprint, Verizon, and AT&T are all pricing the 16GB version at $199. Sprint and Verizon also have the 32GB version for $249. But of course, stock is an issue at all three, with either pre-orders being pushed into the future or in some cases, not taking pre-orders at all. Have you hit up a T-Mobile store and found the phone in stock? Have you pre-ordered and received your S3… or not? Tell us about your experience in the comment section below. I’m in the Tampa/St Pete area and stopped at a store after work and they never got the phone in. They also said they called other stores in the area and those other stores never received them. They didn’t even get a model/display unit. Guess I’m waiting until next week.